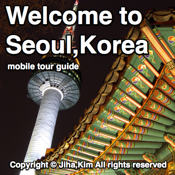 If so, I strongly recommend you to travel Seoul,Korea. The city of beautiful scenes and dynamic life! This app helps you to travel without guide. In the view of Korean, you can enjoy the updated information. I am Jiha,Kim from Seoul, the soul of Asis.